The Steinsaltz Humash the long-awaited English version of Rabbi Adin Even-Israel Steinsaltz’s pioneering translation and commentary on the Torah. 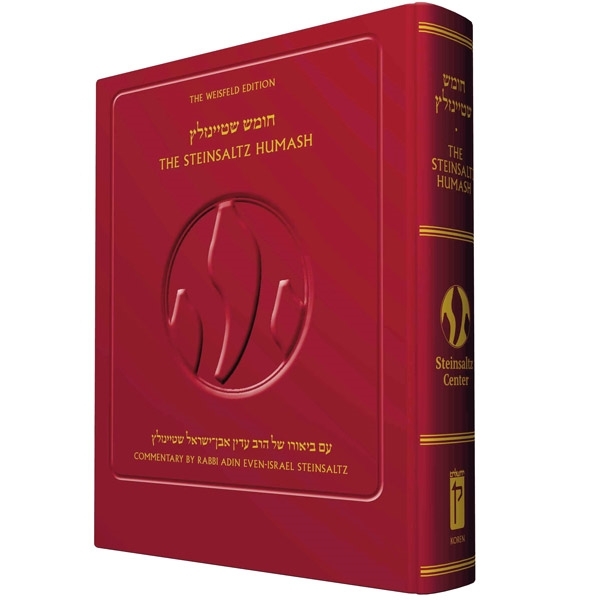 Like his monumental translation and commentary of the entire Talmud, the new Steinsaltz Humash includes a treasure trove of information to make the text clear, fascinating, and relevant to users of all backgrounds. Here, Rabbi Steinsaltz’s commentary seeks to connect the reader directly to the peshat, the plain reading of the text. He includes references to many commentaries, while he aims to remove any ‘barriers’ to the text, connecting us directly to the ‘voice of the Torah’.